“NORFOLK, Va. (AP) — Republican presidential candidate Mitt Romney has picked Wisconsin congressman Paul Ryan to be his running mate. A Republican with knowledge of the situation tells The Associated Press that Romney has chosen Ryan. The Republican spoke on condition of anonymity because this person was not authorized to disclose the decision. Although it has not been confirmed that Mitt Romney will nominate Wisconsin Congressman Paul Ryan for Vice President, we do now know that he will be making his announcement at 9:00 am this morning in Norfolk, Virginia and that he will doing so on the USS Wisconsin. The announcement will come at the start of a 4 day campaign bus tour through four battleground states. The “Romney Plan For A Stronger Middle Class” bus tour was first scheduled weeks ago but the exact itinerary had not been released until now and in that itinerary may lie the answer to who Mitt Romney will be picking as his running mate. According to the Romney campaign the first event will take place at 8:45 AM EDT on the USS Wisconsin, which is docked in Norfolk. According to the schedule, Romney will be taking a tour of the USS Wisconsin. However, scheduling a “tour” of the USS Wisconsin, fifteen minutes before you are suppose to announce your vice presidential nominee might seem odd, unless of course the person who your are nominating for Vice President happens to be a Congressman from Wisconsin, such as Congressman Paul Ryan who has been rumored to be a top contender for the job on Romney’s VP short list. 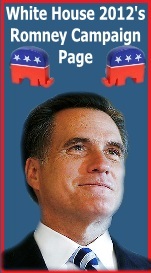 For a list of other potential Romney VP nominees visit White House 2012’s VP Contender Page. The latest White House 2012 poll regarding who readers would like to see Mitt Romney pick as his running mate found Marco Rubio heading the list with 23% of the vote, followed by Condoleezza Rice with 20%, and Florida Congressman Allen West at 18.%. In that same poll, Paul Ryan finished in sixth place with 7%, behind Louisiana Governor Bobby Jindal who received 8% . See complete results of that poll below. 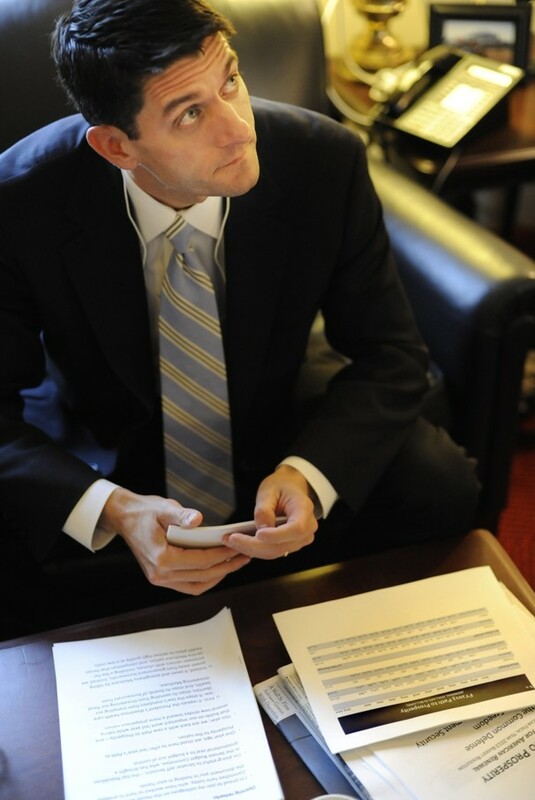 Today White House 2012 offers a look at House Budget Committee Chairman Paul Ryan of Wisconsin. Intern for the foreign affairs advisor assigned to Wisconsin Sen. Bob Kasten. 1992 – Ryan became a speechwriter and a volunteer economic analyst with Empower America, an advocacy group formed by Jack Kemp, former education secretary Bill Bennett, the late diplomat Jeane Kirkpatrick and former Minnesota Rep. Vin Weber. After his 2011 delivery of the Republican response to the President’s State of the Union address and his presentation of the 2011 Republican budget proposal, “A Path to Prosperity”, no matter who the Republican presidential nominee was going to be and no matter whether he likes it or not, Paul Ryan was going to be on the short list of names to be considered for Vice President on the 2012 presidential ticket. Ryan has already expressed no interest in the number two spot for Republicans in 2012 but if the call comes, the pressure is put on, and the political climate continues to echo the need for economic leadership, the times will dictate that Paul Ryan accept such an offer. For no man who truly loves their country can refuse to serve it when they are convinced that duty calls. And right now America calls out for the type of leadership and fiscal understanding that Paul Ryan brings to the table and possibly to the presidential ticket. Paul Ryan is young, confident, humble and uses soft spoken words to convey hard hitting facts as he avoids demonizing the opposition. This along with his record of competence and passion for a budget that deals with the problems of today while addressing the needs of tomorrow, will make Paul Ryan the type of running mate who does not outshine the top of the ticket but provides incomparable support from the bottom of the ticket by being a seemingly non-partisan, down-to-earth, friendly, likeable family man, who can relate to voters and still make them feel confident about his ability to step into the presidency if the need arose. All that is in addition to his coming from an important swing state and his mastery of issues that will still be a top priority in November of 2012,——— the federal budget and national economy. And Paul Ryan’s stock as a potential running mate has risen even further after the recent attempts to recall several Wisconsin Republicans, including the state’s Governor, Scott Walker. The left-wing, union inspired recall effort, failed miserably and stunned the nation with a vote that actually affirmed the type of economic austerity which Paul Ryan represents. That recall election has led many to believe that Wisconsin could come in to play for Republicans in the presidential election and if that is the case, adding Paul Ryan to the ticket could swing the state in the G.O.P.’s favor by as many as four percentage points. The greatest obstacle to Ryan’s being asked to run for Vice President comes from the mileage that Democrats may be able to gain from painting Ryan as a heartless conservative whose budget plan attempts to destroy Americans by cutting everything from Social security benefits to the elderly to slashing assistance for the impoverished. To succumb to the potential of liberal propaganda would be a mistake though. If the left seeks to paint Ryan in such a way, the G.O.P could actually carve out a path to victory that addresses the divisive class warfare charade that liberals are trying to wage and combining it with the cold hard facts of mathematics, the mathematics of our ballooning deficit and weak economy. But perhaps the greatest hurdle to Paul Ryan being selected as Vice President is the specter of losing his leadership in Congress as the House Budget Committee Chairman. It is one of the ten most powerful, and influential positions in America and a president Romney would have to ask himself, does he want to lose the responsible and competent leadership that Paul Ryan brings to that position? If it will get him elected President, Romney will probably be willing to have Ryan make that sacrifice. 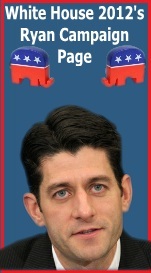 Paul Ryan would be a relatively bold choice for Mitt Romney. Ryan does not initially bring the type of “safe” factor that would normally make Romney comfortable. However, Paul Ryan would bring to the ticket the type of solid convictions and leaderships required by republicans to corner the market on one of the number one issues of the day, our economic security. Paul’s Ryan’s credentials on the federal budget, the national debt, and entitlement reform are unparalleled and while his record will never convince liberals to suddenly realize that their attempts to tax and spend the nation in to prosperity is a dismal failure, he can help win over the critical independent voters who tend be more economically than socially conservative. And that is where this election may be won or lost. That alone makes a Ryan a smart choice for Romney. But in addition to that is Ryan’s age, demeanor, working class background and Mid-West appeal. All of which compensate extraordinarily for that which Mitt Romney lacks. Which is why, I would have to say, that Paul Ryan is probably one of the 5 people Romney is most likely to pick. 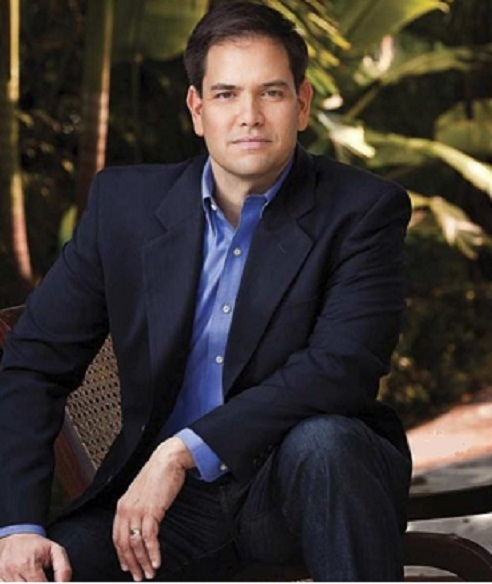 Today White House 2012 offers a look at Florida Senator Marco Rubio. When it comes to Marco Rubio the question isn’t will he be on anyones shortlist for VP. The question is who in their right mind would not pick Marco Rubio to be their Vice Presidential nominee? The forty year old Floridian is probably one of the three most conservative legislators in both Houses of Congresses but lacks the air of extremism that others like him carry, he comes from a critical swing state, and is the most popular elected figure in the state. Given that President Obama is unlikely to be able to get re-elected without Florida, getting Rubio on the G.O.P. ticket would greatly limit the number of electoral combinations that will be available for the President to reach the 270 electoral votes needed. But if that wasn’t good enough reason to have Marco as your running mate, his Hispanic background is a major plus too. Born to Cuban immigrants, Rubio has the ability to connect to the increasingly important and growing Hispanic voting bloc in America. Winning the Hispanic vote or at least a decent portion of it, will mean the difference between winning the presidency and losing the presidency for Republicans. Rubio’s appeal would help in several states with large Hispanic populations, including the important swing state of New Mexico. Beyond that, Rubio is bright, levelheaded, articulate, passionate, personable, and polished. Some of that polish came from his years as the youngest person to have ever served as Speaker of the Florida House of Representatives. And when it comes to putting that political polish to work in a campaign, you must realize that we are talking about a man who was only 39 years old when he decided to seek the Republican nomination for U.S. Senate in Florida and to do so by running against the state’s popular incumbent Republican Governor who also wanted the nomination. Governor Charlie Crist had been considered the next Senator even as Rubio began his underdog campaign. But in time the underdog turned the tables around so quick, that Governor Crist dropped out of the Republican primary, because he knew Rubio was about to beat him the primary. In the end Rubio was handily elected and along the way, he became a hero to the TEA movement and shot of life in to the G.O.P.’s conservative base. The only problem is, Marco Rubio has made it clear that he will not run for Vice President in 2012. But that can’t exactly be written in stone. If duty calls, it is hard to say no. However, Rubio may just stick to his guns. He knows that he will someday be President, so long as he plays his cards right. I believe that Rubio wants to be sure that he paces himself. He does not intend to be a quick flash in the pan, and as such I really believe that he does not want to play second fiddle to anyone as their vice presidential running mate. He is waiting for the day when he picks the person that he wants to nominate as his vice presidential running mate. All things considered, Rubio is probably the best choice Romney can make. However, Rubio has been firm in his declaring that he does not want to be Vice President. But the pressure that could come down on Rubio to take the nomination might be to much to bear. So early declarations may not be quite as definite as they seem and if it is determined that Florida is in fact the key to winning the White House, we could easily see a Romney-Rubio ticket. Today White House 2012 offers a look at former Secretary of State Condoleezza Rice. (1954-11-14) November 14, 1954 (age 57) Birmingham, Alabama, U.S. In mid December a Washington Times opinion piece stated that Dr. Rice was ”quietly positioning herself to be the top choice of the eventual Republican presidential nominee, ready to deliver bona fide foreign-policy credentials lacking among the candidates.” They added “The 56-year-old has recently raised her profile, releasing her memoir in November and embarking on a monthlong book tour”. Whether it is true or not that Rice has been “quietly positioning herself” for a vice presidential nomination is questionable. This very humble, renaissance woman with above average intelligence, an unmatched resume, and wide range of interests has previously claimed that she would much rather serve a stint as the Commissioner of the National Football League than another stint in politics. But minds do change and Condi could actually be floating the idea by sending some behind the scenes signals that she would be willing to be the running mate on the Republican presidential ticket. She would certainly be an excellent choice. Even though her presence on the ticket may initially draw some negative perceptions of the Bush Administration, Condi’s record is one that is strong enough to diminish such perceptions. Furthermore, in addition to her ability to bring strong foreign affairs credentials to the ticket and bolster voter confidence in the Republican ticket with it, she adds a combination of troubling fear factors to the Obama relection campaign. In addition to being African-American, she is a woman and while these are politically shallow reasons for electing our nation’s leaders, they are also very real and very undeniable political inroads in to the critical female and black voting block. 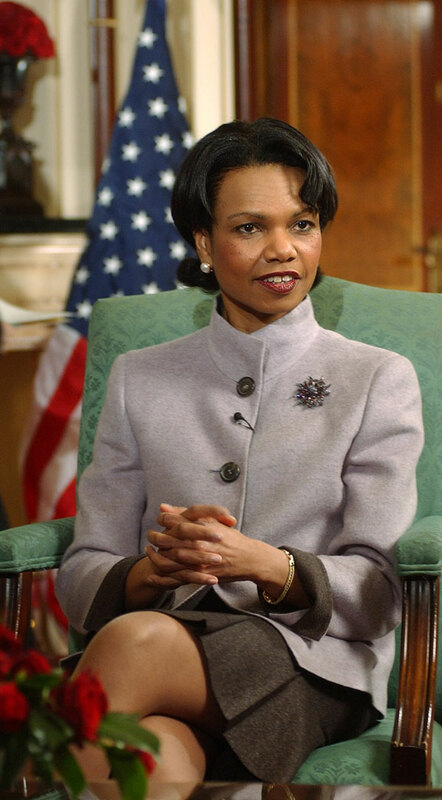 All things considered, Condoleezza Rice is an automatic addition to any Republican presidential nominee’s short list. Although she is remarkably diplomatic and inoffensive while at the same time possessing steel-like resolve and confidence, and while her incredibly articulate ways would be able to win more voters over than turn them off, Mitt Romney can not afford to seem to equivocate on the issue of abortion. 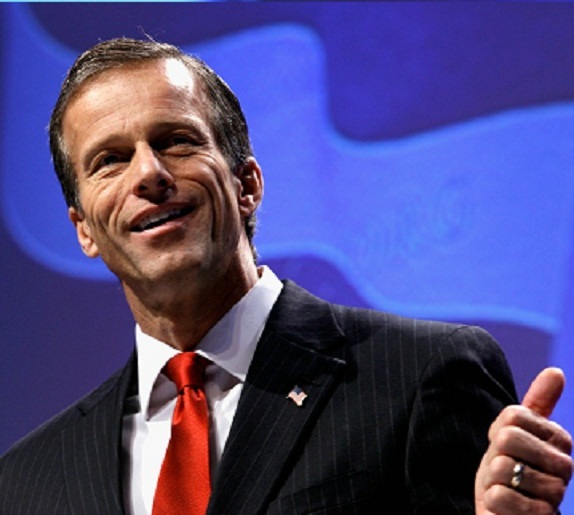 After switching his position from pro-choice to right to life, he has a hard enough time convincing conservatives that he is sincerely committed to to the sanctity of life. And the problem is that Rice is pro-choice. It is something which conservatives can only be overlooked by many conservatives if the candidate who picks her, had a solid, 100% reocod of committment to ending abortion and even then the selection of a pro-choice running mate would raise much more than just eyebrows. That said, while I am a conservative who believes that choice exists before the fact, not after the fact, and therefore stand in opposition to abortion, I myself would still be supportive of Condoleezza Rice for Vice President and by natural extrapolation, for President. I do not belive that Rice’s pro-choice position would compel her to move towars a repeal of existing restrictions, not would she propose expansion of the use of abortion as a common practice. Indeed, she is on record as being a strong proponent of restrictions on the use of abortion and wanting to promote a culture that respects life. And when it comes to the many other issues facing our nation, I am willing to trust the judgement of this otherwise conservative leader. And in many ways, Condoleeza Rice transcends politics. She is more of a policy person than a political one. As such, I trust in her willingness to make political decisions that are driven by the best polices for our nation as opposed to policy decisions driven by the purpose of persoanl political pursuits. If pressed, I would equate Rice to another former Republican President —— President Dwight D. Eisenhower. Eisenhower was more leader than politician. He was more public policy than partisan politics and he was more concerned with the plight our nation’s economy and security than the cause of partisan pandering. Such is the case with Condi Rice. Such thinking may not please fellow Republican activists such as myslef but I am confident that making the best choices for our nation, also makes for the best positioning of our Party and Condoleezza Rice would make the right decisions for both. But my sentimens do not change the reality of politics and unless Mitt Romney is willing to risk the support of the evangelical base that is already leerie of his conservtive convictions and committment to the right to life, Condoleezza Rice is not likely to make his final cut for Vice President. Between that and a Romney based fear that Barack Obama’s campaign will be able to use Rice’s leadership concerning the war in Iraq as a way to link the G.O.P. ticket to former President Bush and thereby create a distraction from the realissues in this election, will most likely doom Rice’s chances of being on the ticket. Condi Rice is one of those rare well known public fugures who if placed on the ticket, would probably be the one persona that the G.O.P. could nominate without offending a large portion of the left. Her breadth of experience in foreign affairs would make the Obama Adminstration’s foreign and national security teams seem like high schools kids taking a summer course in history. Rice would be an an incredible force for Romney on such issues and could enable them to articulate the many weaknesses in that Obama policies have created for our nation throughout the world. Despite my high regard for the former Secretary of State and regardless of my positive impression of the prospects of a Vice President Rice, my sentimens do not change the reality of politics and unless Mitt Romney is willing to risk the support of the evangelical base that is already leerie of his conservtive convictions and committment to the right to life, Condoleezza Rice is not likely to make his final cut for Vice President. Between that and a Romney based fear that Barack Obama’s campaign will be able to use Rice’s leadership concerning the war in Iraq as a way to link the G.O.P. ticket to former President Bush and thereby create a distraction from the realissues in this election, will most likely doom Rice’s chances of being on the ticket. 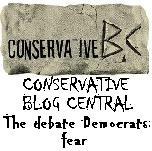 White House 2012’s Series “The Herd”: Will Cathy McMorris Rodgers Be Romney’s Surprise Pick for Vice President? 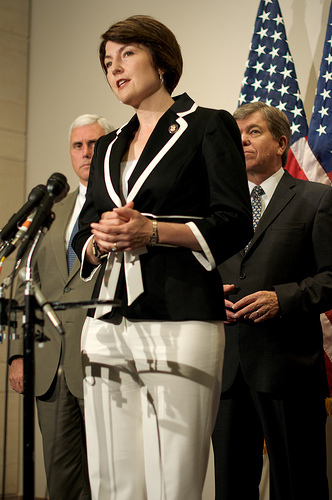 Today White House 2012 offers a look at Washington state Congresswoman Cathy McMorris Rodgers. Cathy McMorris Rodgers is largely unknown outside of her district in eastern Washington state, but among conservative activists, she is a familiar name and appreciated for her conservative leadership. With a lifetime American Conservative Union rating of 93.80 percent, McMorris Rodgers has a record that could only shore up Mitt Romney among conservatives who remain insecure about his committment to the conservative cause and at the same time, Cathy McMorris Rodgers lacks the type of knee jerk reaction from the left that would automatically lead them to make her the poster child for their hatred. Now in her 4th term in Congress, McMorris Rodgers is seen as one of Eastern Washington’s chief advocates in the House of Representatives and within the G.O.P. she is considered a rising star. Since first being elected to the House in 2004, she has earned the trust of both her constituents and her Capitol Hill colleagues. So much so that her fellow Congress members have twice elected her Vice Chair of the House Republican Conference where she is the only woman and the youngest Member of the elected House Republican Leadership. That position also makes her the highest-ranking Republican woman on Capitol Hill. Such power has afforded McMorris Rodgers the opportunity to accumulate some substantial clout in Washington D.C., and she has used that clout to become one of her Party’s most influential leaders on issues like international bailouts, earmark reform, and the fight against Obamacare, three issues that will happen to play a pivotal role in the 2012 elections, including and most especially the presidential election. So it is for those reasons alone, that Cathy McMorris Rodgers becomes an obvious addition to Mitt Romney’s short list of possible vice presidential running mates. But to make her even more attractive as a potential vice presidential nominee are a mix of her gender, compelling personal life story, and her history of reaching across the aisle to lead bipartisan efforts that introduced such things as beneficial health information technology legislation. McMorris Rodgers’ non-political experience is another important consideration . She grew up on a family farm, worked at a small business, and later became a wife and mom. To one degree or another, each of these aspects of her life can resonate quite well among several critical segments of the electorate, including those of the Midwest farming communities, women, and those who can appreciate having political leaders that are familiar with the plight of small businesses in America, something that compliments and compensates for Mitt Romney’s experience with the more corporate side of business in America. All things considered, Cathy McMorris Rodgers is an ideal running mate for Mitt Romney. 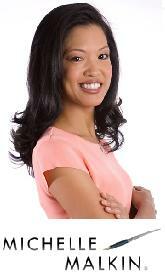 She is well spoken, strong in character, firm in conviction, confident in her beliefs, and unmistakably compassionate. And while she lacks the lightning rod characteristics of a Sarah Palin which could allow the Obama campaign to make her a useful distraction from the issues , being a woman, her presence on the ticket would add a valuable degree of historic intrigue that it would lack if a Rob Portman or Tim Palwenty were to be selected by Romney to be his Vice President. Yet at the same time Cathy McMorris Rodgers would not overshadow Romney and still bring to the ticket the type of legislative experience and stature that people expect from a Vice President. Of course the left will draw parallels between Cathy McMorris Rodgers and Sarah Palin. But they will do so at great risk. Like Palin, one of McMorris Rodgers’ two children was born with Down syndrome. Like Palin, McMorris Rodgers is a mom, a wife, a conservative and a person of deep religious faith. And if the left wants to use any of these similarities in an attempt to palinize McMorris Rodgers, they better be willing to deal with a backlash from mothers and wives all across the nation because this time their attacks will be seen as nothing but personal and inappropriate. Cathy McMorris Rodgers is not what you can call the perfect running mate for Mitt Romney. The perfect running mate for him is someone who won’t overshadow him, can win over a majority of women, and/or Hispanics and independents, lacks any of the baggage that liberals can use to create a distraction from the real issues with but has positive national name ID and could insure that Republicans win Ohio and or Florida. The problem is that no one is perfect. If there was such a person, they would have been nominated for president by Republicans instead of Mitt Romney. But when it comes to Cathy McMorris Rodgers insofar as picking a running mate for Romney, she comes pretty close to perfect. McMorris Rodgers is perfectly positioned on the issues important in this election, can help Romney among women, will appeal to independent voters, and in this largely out with the old, in with the new, anti-establishment electorate, McMorris Rodgers is a fresh face that helps generate a sense of fresh start in Washington, D.C.
And although she may not be the favorite son or daughter of a state that deliver a state like Ohio or Florida to the Republican’s electoral vote count, her appeal to a wide segment women and independent voters in those could be all Romney needs to win those states and others as well. All of this makes McMorris Rodgers a bold but safe choice for Mitt Romney and “safe” is one of the things Mitt Romney likes the most. Which is why if Romney does surprise us by picking a running mate whose name has not already been widely discussed, it will be with the name Cathy McMorris Rodgers.